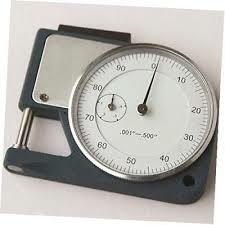 4200 Pocket Dial Thickness Gage . 0-1/2" Range . .0005" graduation . Dial reading: 0-100. Throat capacity: .500"